Eeeee, so many cute, cute, cute DIYs have caught my eye lately! I’m crossing my fingers my schedule will free up so I can sit down and make something pretty soon! If, by some miracle, I’m gifted with some time, here’s a trio of projects I’d start with. How adorable are these chalkboards, made from thrifted TV trays? I love Lisa’s idea of making them fridge-ready by gluing magnets to the back. So smart! I’ve been dying to frame & hang my favorite thrifted and family-hand-me-down hankies. They look beautiful as a grid, no? And the frames? They’re for albums, and are super affordable! 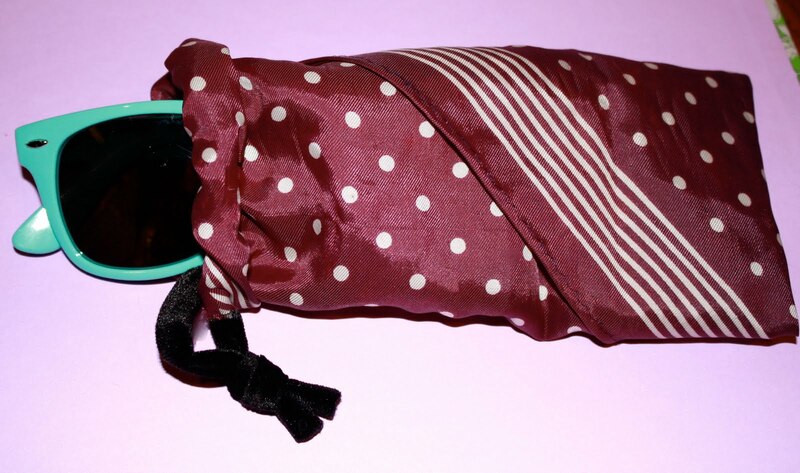 This sunglasses case, made from a scarf, would be so useful. Scratched up shades = bummer! Here’s hoping my rudimentary sewing skills are up to task! I hope you all are having fantastic Thursdays! Is it just me, or did this week fly by? This entry was posted in Uncategorized and tagged diy by highplainsthrifter. Bookmark the permalink. Surely! Loved that idea, and can’t wait to give it a whirl. 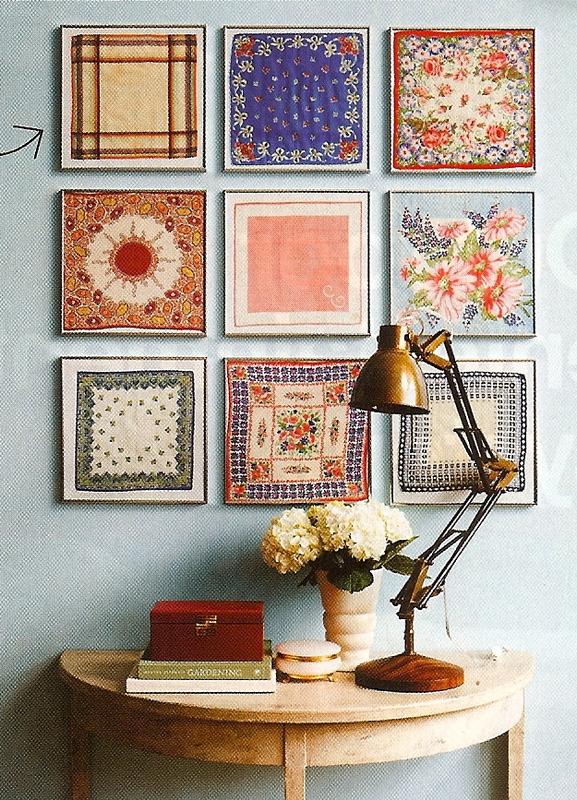 I have that same image of hankies in record frames in my craft inspiration binder. Love it! The chalk board tray seems so easy and cute! Going to be making some of those for Christmas gifts.